This is the Part 1 of the adventure. Don’t miss out the Part 2 and Part 3. After living in Bristol for 10 months, I was eager for new and bigger adventures. I needed to step out of my comfort zone, again. My intuition pointed Asia as a destination. Somehow I thought that it was the right place to start seeking. The adventure lasted for 7 months and I visited 7 countries. It was one of the most important and exciting experiences of my life. It has taken me one year to digest all those experiences. And now I’m sharing the trip with you and some of the lessons I’ve learnt from it. Elina and I landed in Kuala Lumpur, Malaysia, on the 2nd of December 2014. Our original plan was to find a flat and stay there for a while. It only took us two days to realise that we didn’t want that. 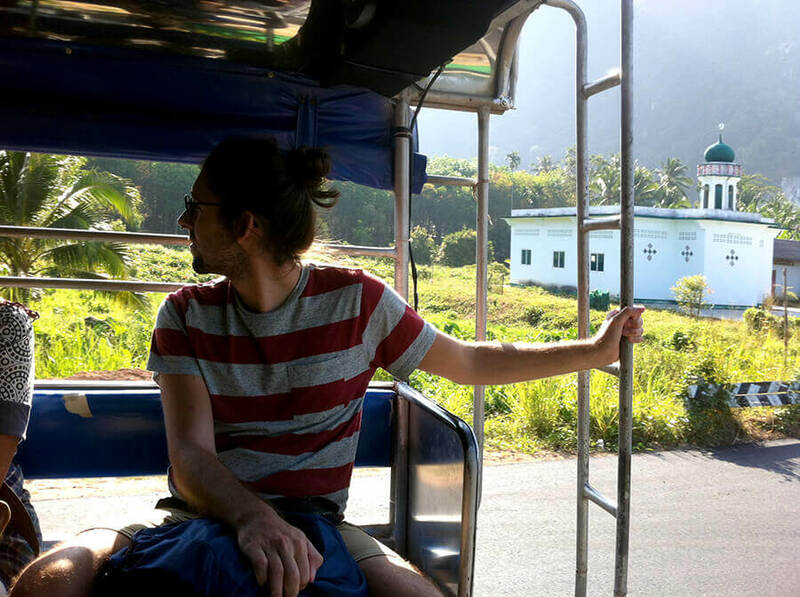 As soon as we arrived, we felt absorbed by the landscapes, nature, smells and the Malaysian culture. So we wanted to visit as many places as possible. I got my first lesson just when I arrived. Plans work well to give you a direction, not necessarily to take you to a destination. In most cases, plans don’t work if you don’t make them flexible. But in any case, I think it’s better to have one or several plans than having none. Wasn’t it great to find that I was on the right path realising that my original plan was wrong? During the first weeks wandering in Malaysia, we visited Ipoh, Pangkor and Penang. I remember those times as an adaptation period. Not just to Malaysia, but to a new lifestyle. I wasn’t on holidays, and I wasn’t a tourist. I was just working on assignments and travelling at the same time. Instead of having a flat, I was moving from a place to another, constantly. That was the first truly nomadic experience I ever had. At that point, we already had time to meet some friends and get used to the heat, food, culture and wonderful nature. After a while, we ended up in Langkawi. 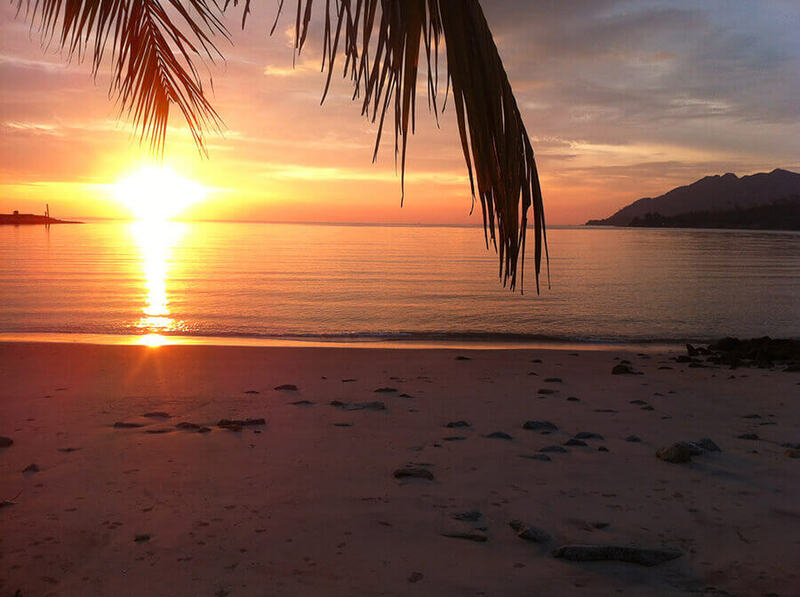 A small Island in the west coast of Malaysia, very close to the Thailand border. We needed to rest a bit and start digesting everything that was happening. So we decided to book a room in a guest house for a couple of weeks. The time we spent there was so fulfilling that we decided to spend another two weeks there. We rented motorbikes and went all over the island, discovering the amazing nature Langkawi had to offer. Visiting night markets, chasing sunsets and spending nights in a bar by the sea singing songs under palm trees. 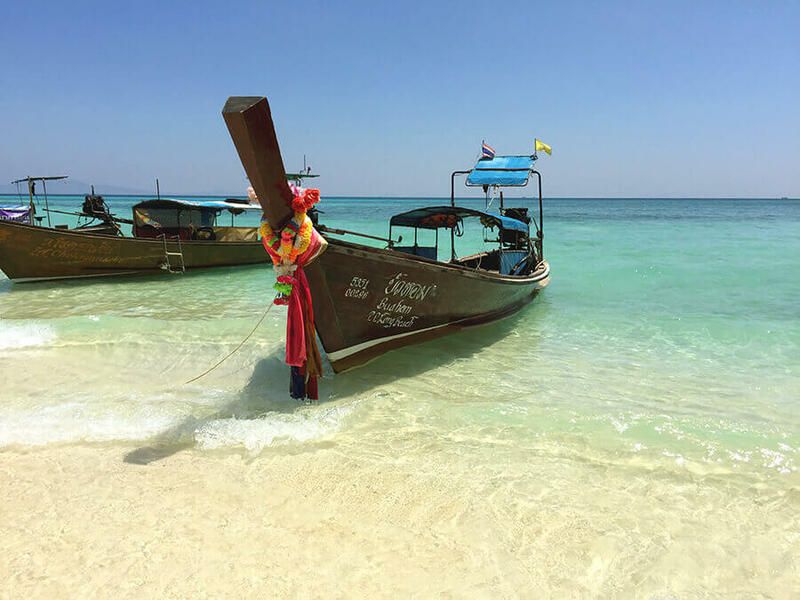 We also had time to go for a week to Koh Lipe, an idyllic thai island very close to Langkawi. There I had one of the best experiences of the whole trip. We became scuba divers, after an intense 40 hours course. I always dreamed of going to space, and diving was the closest I’ve ever been to be out there. At that time, I learnt the second lesson. The perception of how the time passes depends on what you do. When you live intensely, discovering and doing new things, you feel how time passes slower because you fill every second with value. That time in the guest house in Langkawi also brought the opportunity to meet amazing people. I was surrounded by people that were able to talk 7 languages, people that had been travelling for 10 years, entrepreneurs and digital nomads, and locals who know better than anyone how to have fun and be happy. I remember those conversations as pure gold. The kind of friendships I found there were new to me. I shared 3 or 4 very intense days with people from all over the world, talking about our lives, dreams and points and views. After those 3 or 4 days we wished good luck to each other, and then new people came and the process repeated. There was no time to spoil it. The depth of the conversations was astounding, and I learnt a lot from each of them. That brought the third lesson. The most interesting people I’ve ever met in my life share the same qualities. They are open minded, curious and excited about life and their projects. The depth of the conversations you have with them is proportional to those qualities. After nearly a month in Langkawi, it was time to move on and be back on the road. 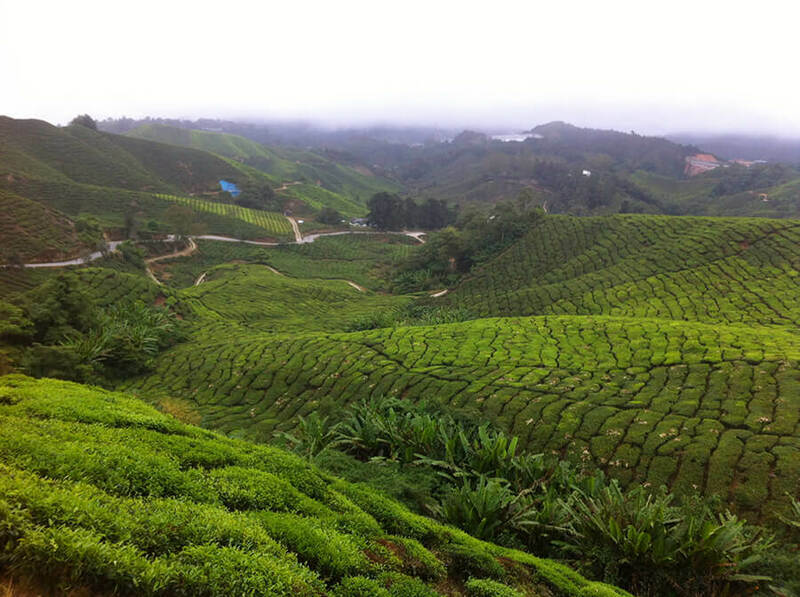 We spent a couple of weeks traveling and we visited Cameron Highlands and Kuala Lumpur. In total, we spent two months and a half in Malaysia. 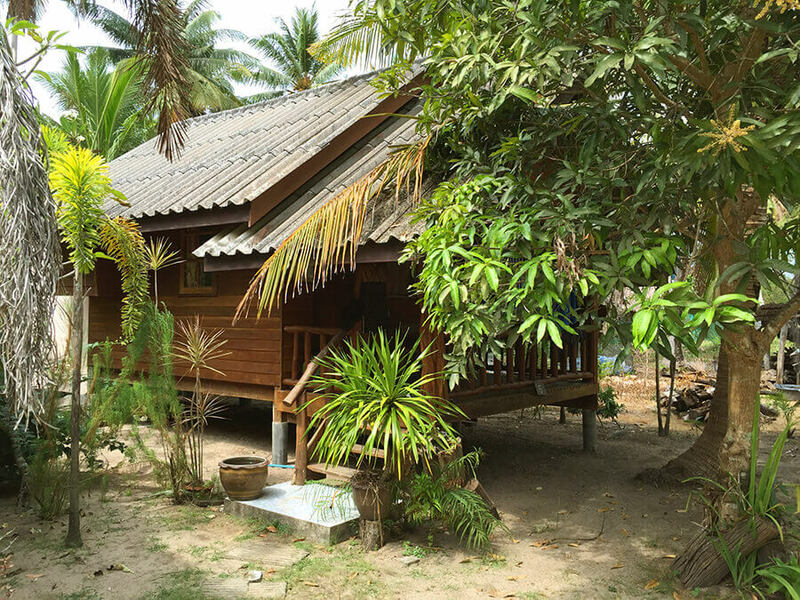 We started to feel that it was a good time to discover other places, so we moved to Thailand. 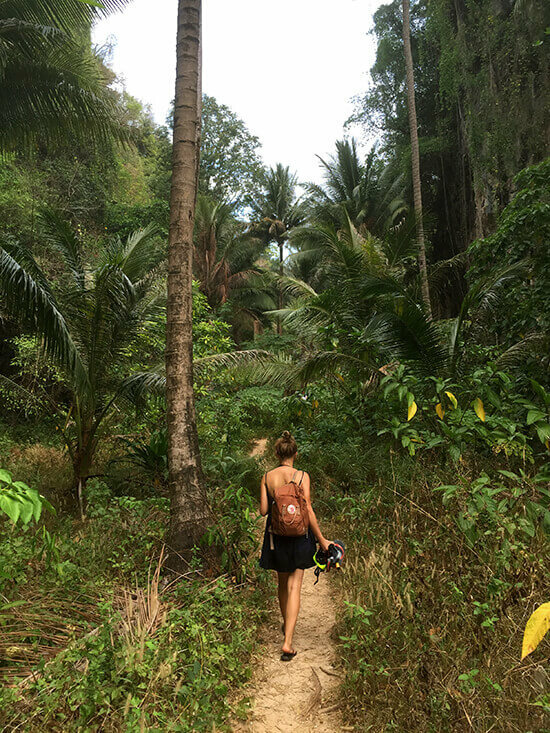 Arriving in Thailand felt like starting a new adventure. Thailand was very different from Malaysia. I remember being marvelled by seeing the beauty of the Thai alphabet everywhere and the depth and warmth of the green colour all over around. We started from the southern islands of Thailand. 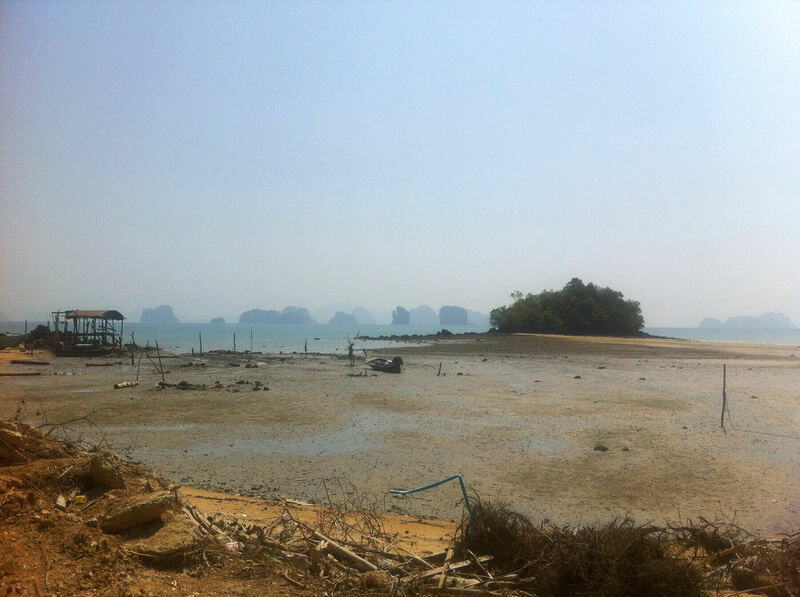 Koh Yao Noi, Phi Phi and Koh Lanta were extremely different even they are relatively close from each other. We spent our days exploring the nature . And of course, I kept working on my assignments. One day, when I was working on a rush assignment for The New York Times, the electricity of the island cut off. It was 2am, and it was completely impossible to get electricity. And I only had an hour to send the illustration. Fortunately, my MacBook had some battery. I managed to finish the image with the trackpad since I couldn’t use my Cintiq. I was lucky to have a local sim card with an internet connection to be able to send the final image because, of course, the routers weren’t working either. The fourth lesson I learnt came immediately. Being independent and having resources that allow you to solve the unexpected problems is essential. Not only when you are travelling, but also in life. 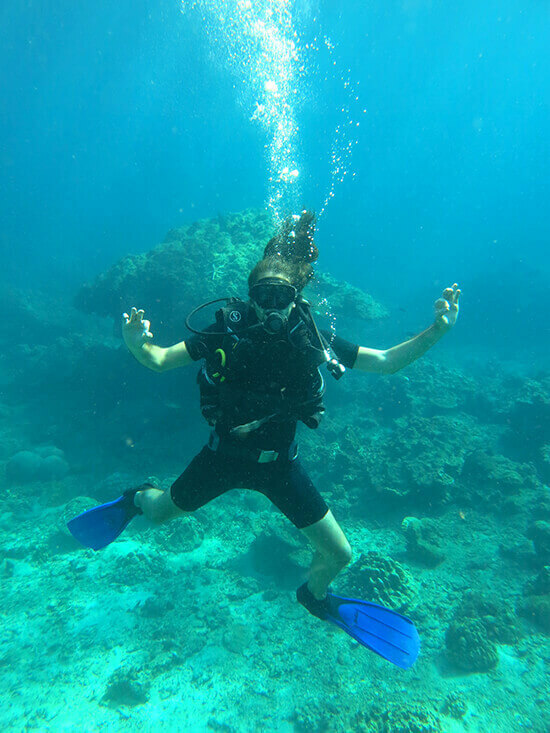 After a month in the southern Islands of Thailand, it was time to move to Bangkok. The time we spent in Bangkok was special, not only because the craziness of the city, but because Elina was coming back to Finland to work. We spent 3 months in a half travelling together. It required more communication and planning than ever. I’m sure that the adventure made our relationship stronger. In those three months and a half, I confirmed a lesson I learnt before. Relationships are like tandems. Both individuals have to get involved and give their best to create the best possible team. Communicating, planning, understanding are the essential elements of a successful couple. Very early in the morning, we got two tuk-tuks, to different airports. Elina went back to Finland, and I continued my adventure alone. My next destination was Cambodia. I continue with the adventure in the next article. Which lessons have you learnt from your adventures and trips? As always, I would love to hear your experiences, please let me know them in the comments! Creo que la mejor lección que he aprendido con mis viajes, y casi con cualquier convivencia con otras personas, es que nada tiene una manera de hacerse, y lo mejor de compartir es enriquecer y construir tus propios recursos. Te deseo una muy feliz última semana en Madrid! Comparto al 100% lo que comentas de que las cosas se pueden hacer de muchas cosas. De hecho, estoy convencido de que el crecimiento personal pasa por cuestionar tu manera de hacer las cosas y librarse del ego. Gracias por tu comentario, Ana, un placer de que haya reconfortado este artículo. Estoy seguro que tu nueva aventura va a ser genial. ¡Disfrútala a tope! Wow I didn’t expected an article like this. I love your blog and work but this was a surprise and a nice one! Why? Because I spent 8 months in Asia and I relate with so many things… I traveled between August 2014 and March 2015, coming back to Europe was not easy and now adapting to a new life in Canada is another challenge, and I miss the nomadic life so much! But I need to work so that I can go back on the road again! Anyway, I think my biggest lessons were: I am capable of much more I imagined and life is so much simpler than we think :) Clichés but it’s true… Can’t wait for the rest of you article, thank you for sharing! Amazing adventures, Catarina! It’s not a cliché; sometimes we are prisoners of our fears, and we don’t trust our potential. But the truth is that if we are brave and work hard we are capable of almost anything. Hope you are enjoying your life in Canada! Challenges are very exciting! Nice one! I spent 6 years in Asia in the 90s. Three of those years were spent traveling on a shoestring to many different countries. I am returning to India this fall for a couple of months of travel, but this time, I will be bringing a laptop and Wacom tablet to keep up with my illustration assignments. Do you have any tips (technical or otherwise) for managing editorial work while on the move and keeping your gear safe? Maybe this will come in your posts to follow, but thought I would ask! I’m sure this time you will have no problem to keep working as soon as you feel comfortable with working from many different places as cafes, hotels, airports, etc. Regarding your question, I recommend you (if you don’t have one) to get a travel insurance that covers your equipment. I like Worldnomads since it’s affordable and allows you to travel to as many countries as you want. Another good idea is using padlocks to secure your backpack if you are planning to stay in hostels and guesthouses. Me ha encantado leer el inicio de tu aventura e igual que Kavafis pido siempre que el camino siga siendo rico en experiencias ya que siempre estamos en el sendero. Otra de las lecciones que he aprendido es que lo mejor es ir ligera de equipaje . Un abrazo en espera de leer nuevas aventuras. ¡Mucha gracias, Carmen! Tienes toda la razón en la importancia de viajar ligero de equipage. Al final acabamos usando solo un 70% de las cosas que nos llevamos y terminamos cargando con muchas cosas innecesarias con todo lo que ello conlleva. Great article! Thanks for sharing your trip an thoughts, Magoz. Looking forward to the next parts. Great blog, enjoying hearing of your travel / working time. From a business point of view I was wondering how paying tax works as a ‘digital nomad’? Do you register for taxes in every country you visit? Or pay tax to UK? and do you need visas / permits to work everywhere? 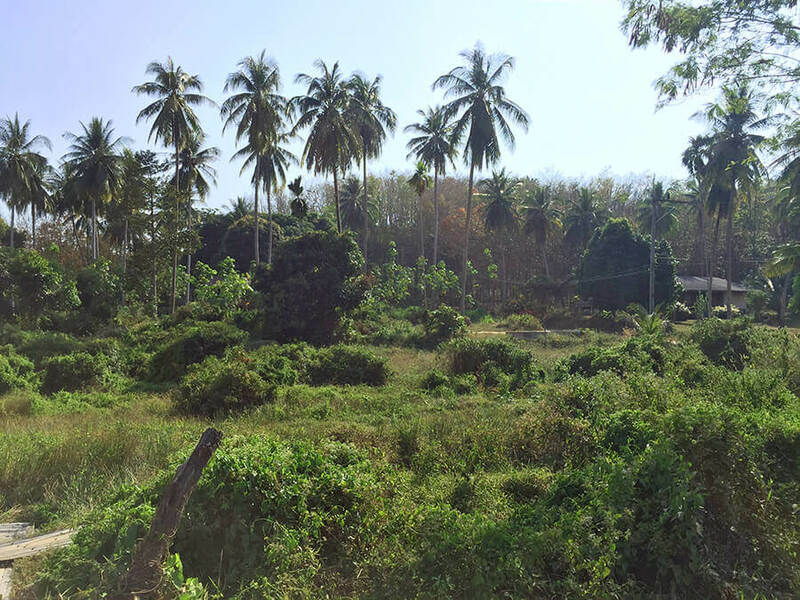 It seems like it could be a bit of a grey area… I’ve only visited Thailand on a tourist visa. I’m interested in doing similar and working on assignments but would worry about getting into trouble for visa / tax issues. Hi Stephen, thanks for your comment. I’m currently self-employed in Spain, but I’ve also been self-employed in the UK (when I lived in Bristol), and I might become self-employed in Finland, as I’m moving to Helsinki next week. I only register as a self-employed in a country if I stay more than just a few months. Otherwise, I keep being self-employed in the previous country I stayed. The visa really depends on your destination and your home country. But when I’m on nomadic mode, I usually take just tourist visas. Hola Paloma, muchísimas gracias por tus palabras. Tu comentario me motiva mucho a seguir con el blog y dedicarle más y más tiempo. Me alegro mucho que estos artículos estén causando tal efecto en ti, de verdad. No te quepa duda de que somos nosotros mismos lo que nos ponemos los límites. Nos encanta buscar excusas para justificar nuestros miedos. Yo estuve bloqueado durante mucho tiempo y al verlo con perspectiva me doy cuenta de que me podría haber puesto en marcha mucho antes (en muchos sentidos). Me tomé dos semanas de descanso porque me he mudado a Helsinki, pero esta misma semana vuelvo a la carga con la segunda entrega de la aventura asiática. Hey there, it’s me again wondering about gear and travel. I would be curious to know your set up while traveling. Do you use a 13″ or a 15″ Macbook? Cintique? I work with a Wacom tablet and am considering buying a refurbished 15″ MacBook Pro for travel, but they’re big and heavy. Honestly I can’t imagine hauling this gear around and worrying about it for two months, but I do want to keep up with my illustration work. Do you keep your gear in a day bag with you at all times, or do you lock it up when you can when you are out and about for the day? I would love to hear any of your thoughts on this. Thanks! Hi Joe! Hope you had a wonderful summer. I’m currently using a 15″ Macbook Pro + 9.7″ iPad Pro. You can read more about my actual set up here. In the past, I used a 15″ Macbook Pro + Wacom Cintiq 13HD. The Cintiq weights and takes up almost the same space than the Macbook. In both cases, I travelled comfortably. I usually kept my equipment locked up at the hostel. Also, most of the hostels/guest houses have a security room where only the staff can access to it. I only took it with me in case I saw a genuine security risk, which rarely happened. By the way, buying refurbished products from Apple is a clever move, there is no difference between them and the new ones and you can save 10-15% off the original price. I do it when possible. Oh, you combine Malaysia and Thailand in one trip, all right? Or you traveled around South East Asia. 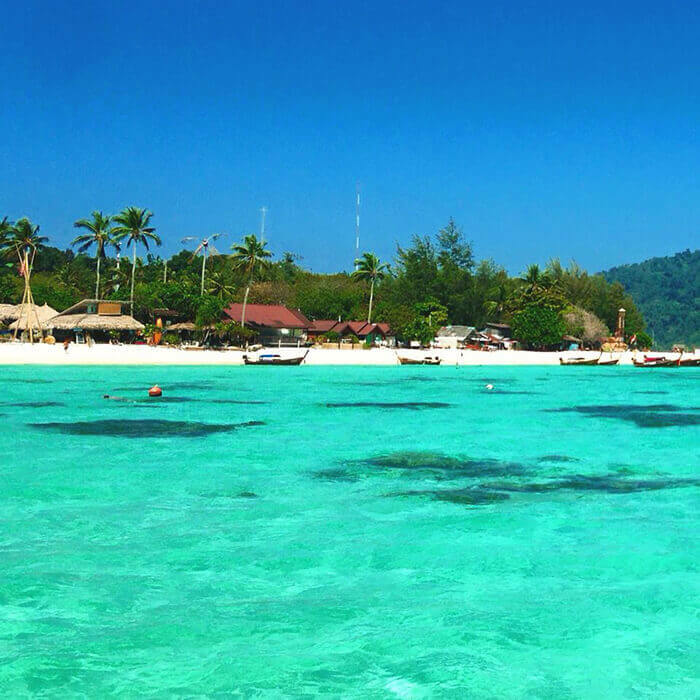 I’m so excited about my upcoming holiday to Koh Lipe and Langkawi. Thanks so much for your sharing!